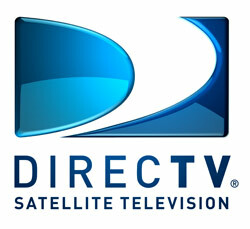 Long Beach, Calif. – Jan. 27, 2011 – DIRECTV is bringing the race track into the living room with the exclusive 3D broadcast of Formula DRIFT’s “Round 7: Title Fight Event” on DIRECTV’s 3D channel, n3D, powered by Panasonic, channel 103. Beginning Friday, Feb. 4 at 8 p.m. ET/PT, DIRECTV customers will have access to two, one-hour specials, which will offer extensive race coverage, behind the scenes footage and exclusive interviews, all in 3D. • Complete coverage of the “Title Fight” season finale, including the final battle between two-time Formula DRIFT champion Tanner Foust and Vaughn Gittin. • Exclusive interviews with Formula DRIFT pro drivers. • Behind the scenes with Formula DRIFT owners Jim Liaw and Ryan Sage. • Coverage of off-the-track action including fans, vendors, import models and more.